Tops are fully adjustable to a max height of 10". 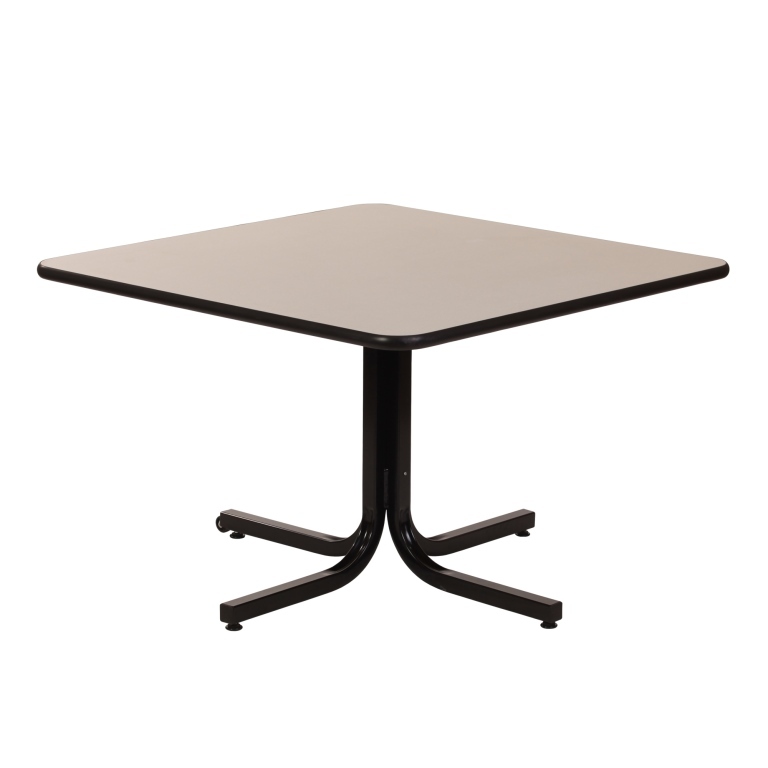 Every table has the ability to adjust one top outward to a max of 6". Stabilizing coasters are used on each leg. Easily moved using the transport wheel(s). Large screw knobs used for each section. Loosening and tightening is done easily. Weight-compensating springs for safety and easy adjusting. 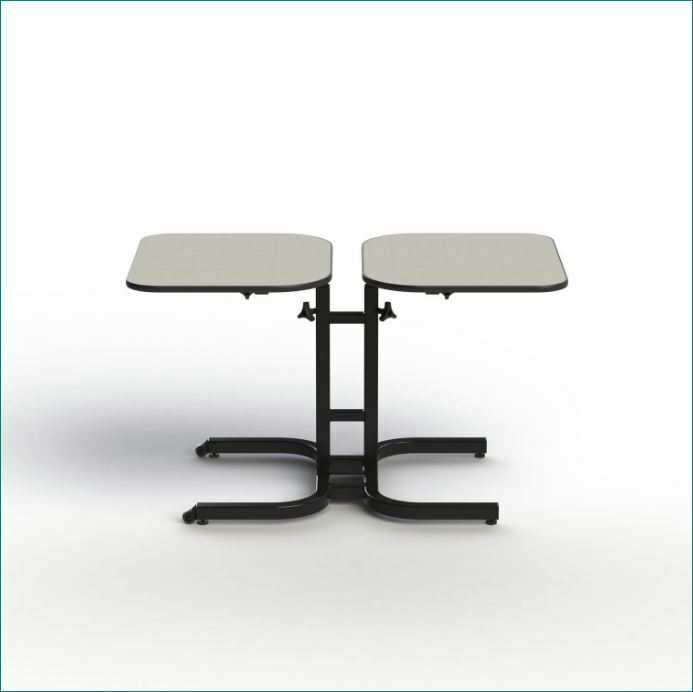 Each section is impact-resistant, fungicidal anti-mold, PVC top. 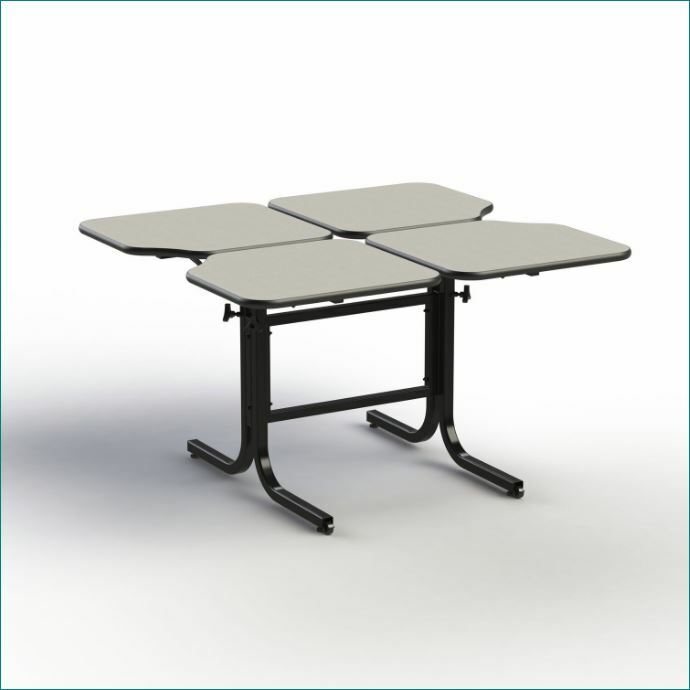 The lazy-Susan can adjusted in height and can swivel 360� easily.